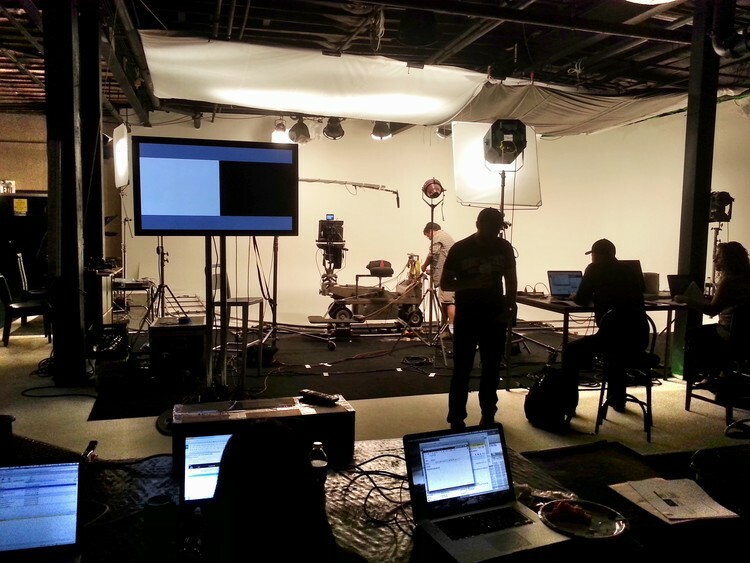 Victory Studios offers two studios available for shooting. Studio 1 is their full size drive-in sound stage. It includes a full kitchen, two complete dressing rooms, rest rooms, and 200 Amps-three phase power supplied via an OSHA approved positive locking power tie-in. 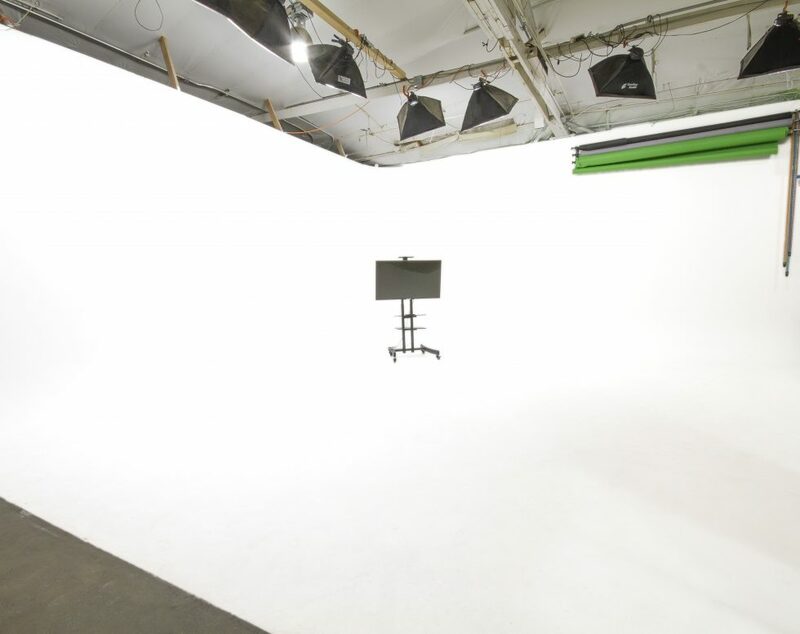 Studio 1 has a 61′ by 34′ hard cyclorama wall with a corner for a total nearly 2,600 square feet of shooting space. 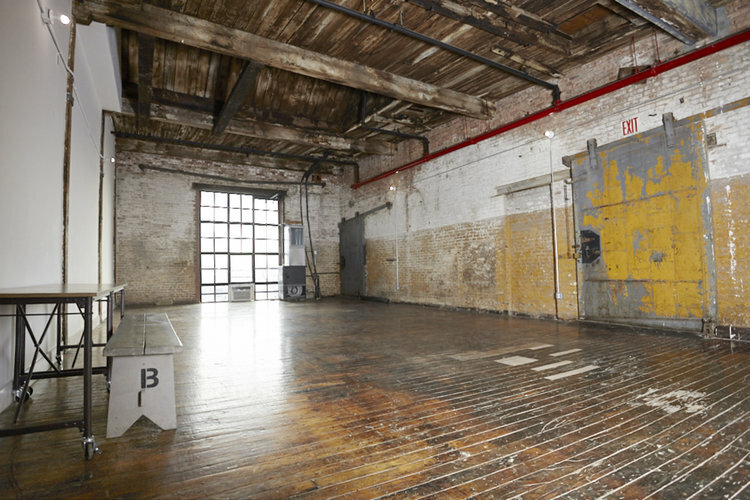 The cold lighting grid is 14′ from the floor. 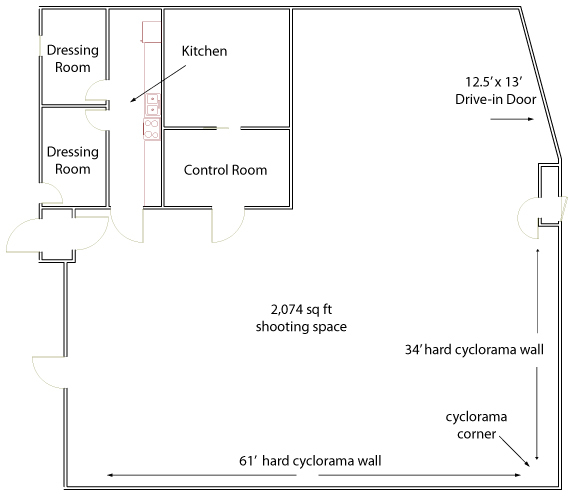 There is direct outside access to the studio through a 12.5′ high by 13′ wide drive in door with soundproof closure. Please contact Victory Studios for more information regarding this film location at (206) 282-1776.